Not all farm work requires giant tractors and implements operating on hundreds of acres. 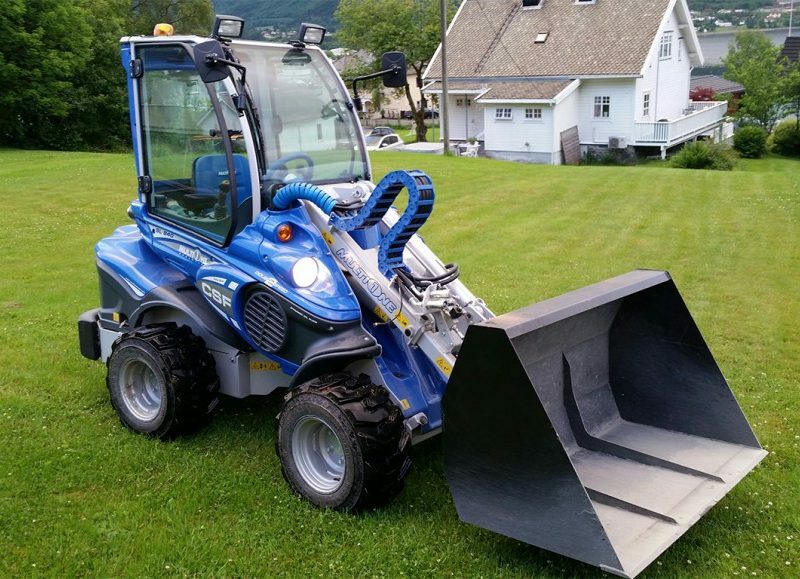 If you need something for smaller jobs, you need a MultiOne mini loader. 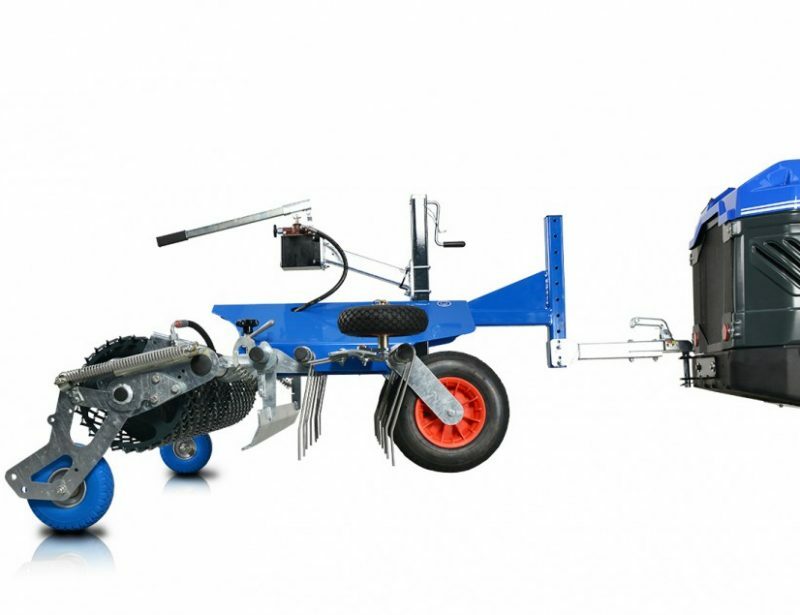 The compact design, long reaching boom and variety of attachments can help you with anything from feeding your livestock to preparing unbroken land for planting. 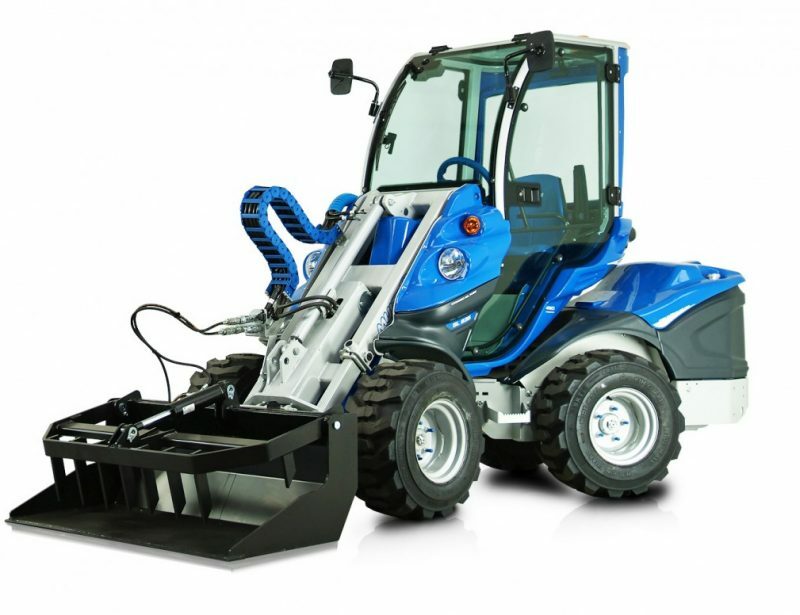 MultiOne’s Mini Loaders are Designed to Provide Maximum Performance in the Smallest Space Possible. 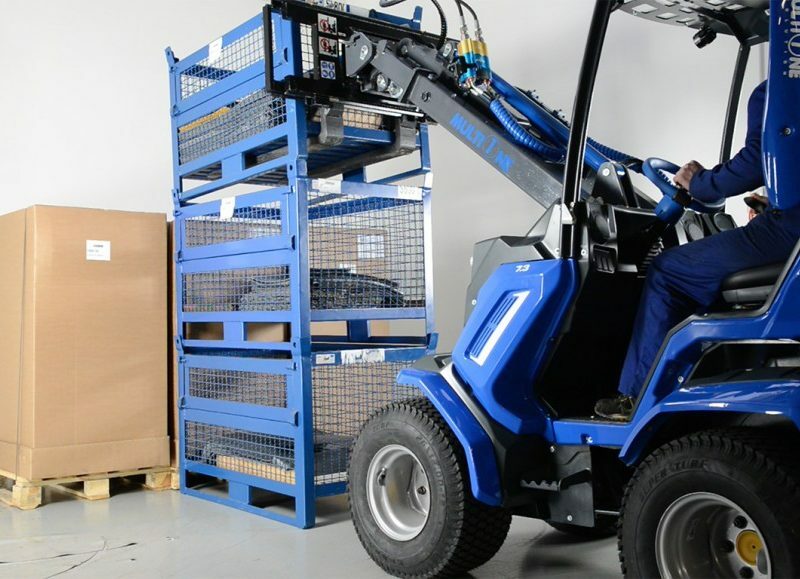 That means using a powerful engine and weights built inside the frame, and a unique jointed structure that allows the wheels to swivel for a tight turning circle. 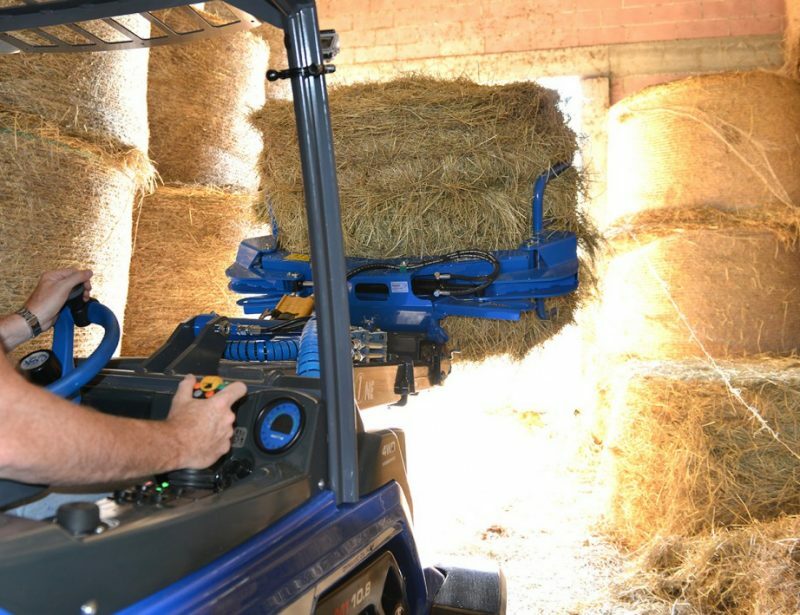 The end result is a vehicle with better visibility than a tractor that can maneuver inside barns, around fences and between rows with ease. On these loaders, each wheel is driven by a hydrostatic motor. While some models offer high and low gearing, there’s no need to shift to change speed: just push on the gas pedal and the drive system does the rest. 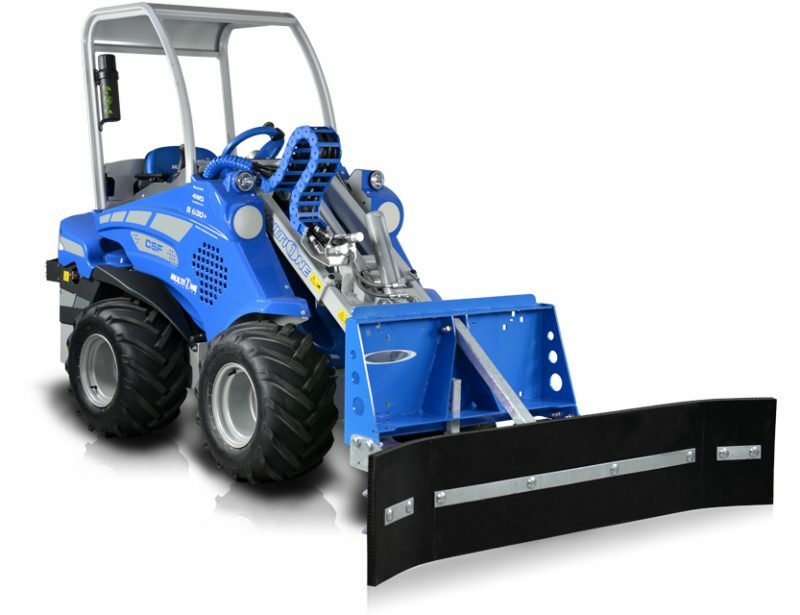 Likewise, steering is handled through the wheel with no need to mess with independent brakes, providing easy control with less scrubbing than a tractor. 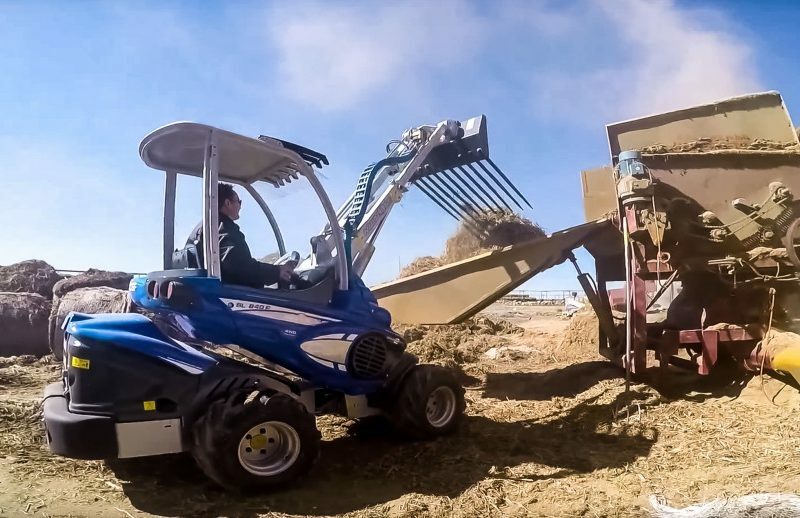 Attachments mount to a boom that can reach and extend over fences, letting you skip passing through the gate for tasks like delivering feed. 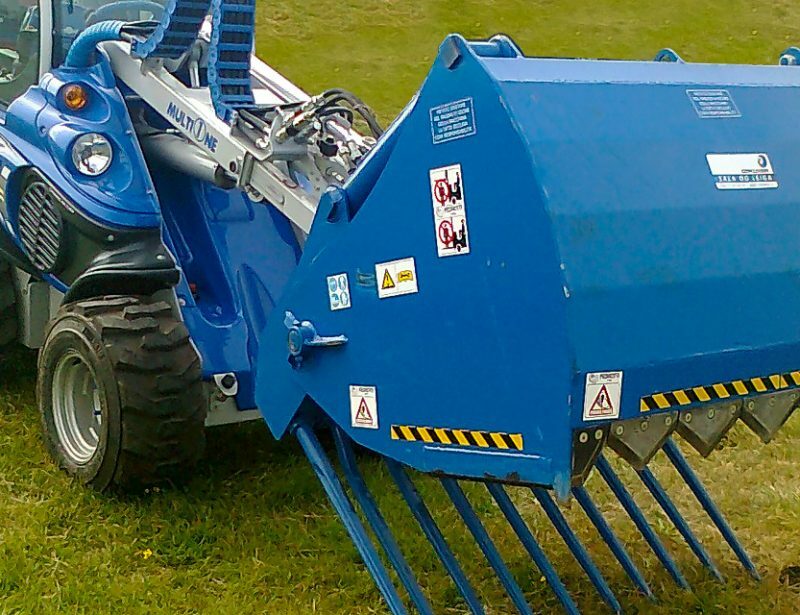 It also provides the elevation needed to stack hay bales without needing a ramp. 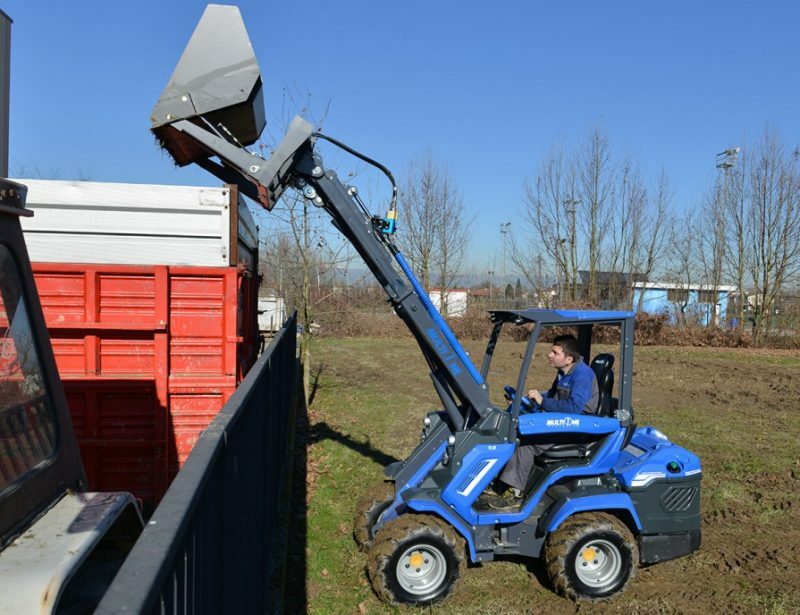 MultiOne makes several material loading attachments designed specifically for the needs of farmers including forks for silage and manure and a bucket with a built-in auger that lets you scoop up feed and deposit it in troughs. Need to move and stack hay bales? There are two clamps and a fork built to do the job. Keep bees? There’s a fork designed to securely grip hives while being transported. 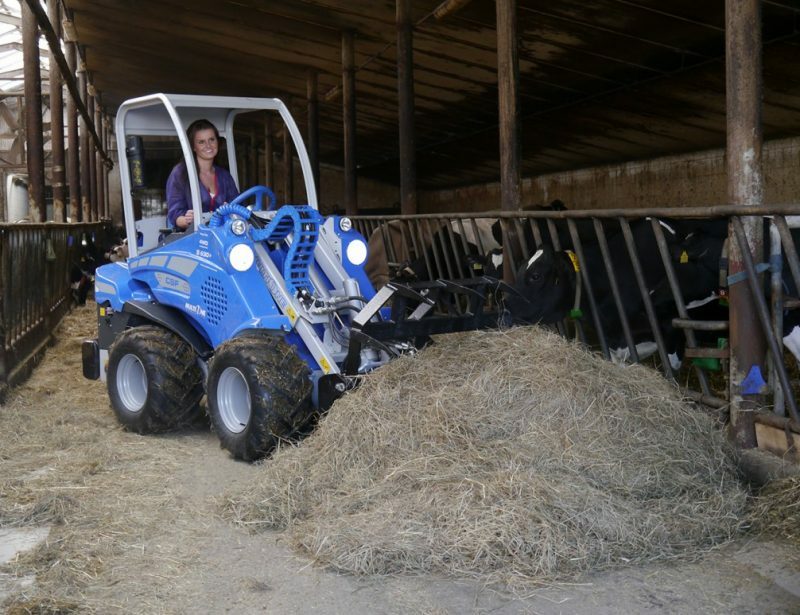 These Attachments Aren’t Just for Livestock Owners. 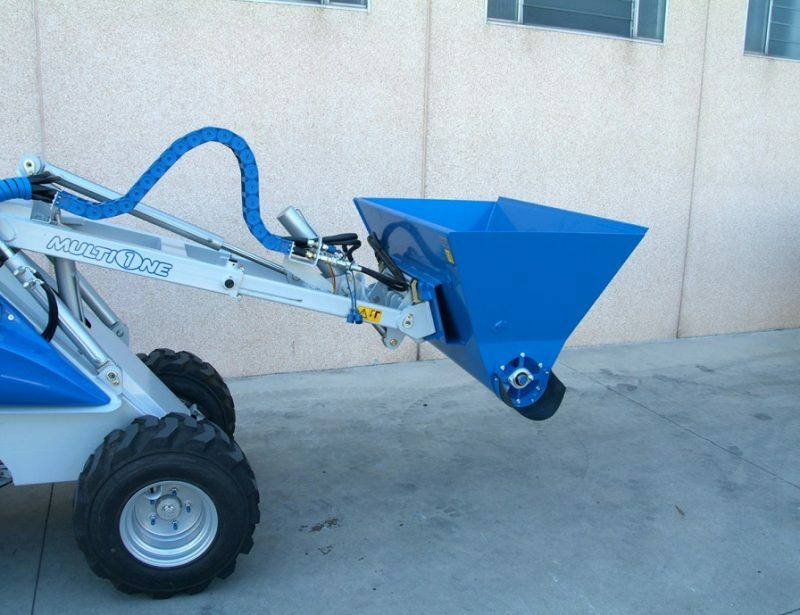 The soil can be worked with a variety of tillers, harrows, and other specialty tools, while the vineyard sprayer offers a convenient way to lay down a layer of herbicide, insecticide, or liquid fertilizer. 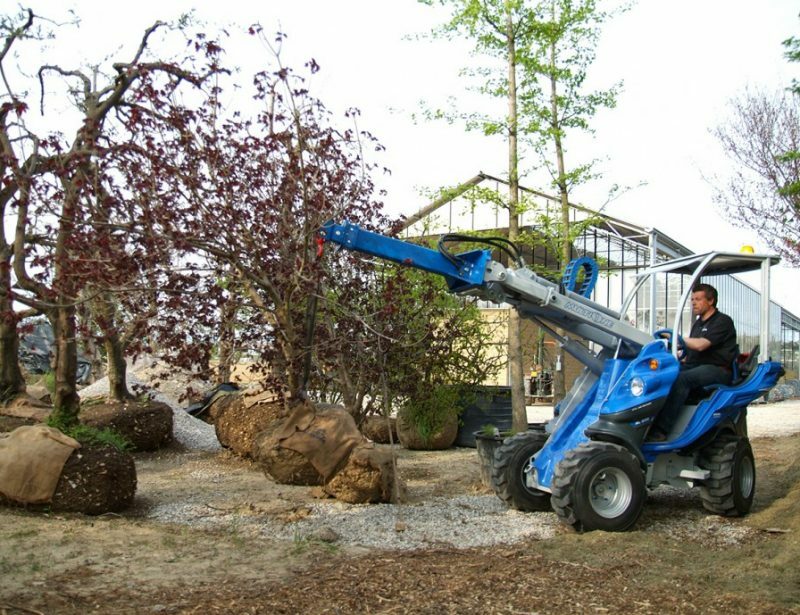 Attachments mount to the boom using a single attachment plate and a connector that puts all the hydraulic hoses in one spot. 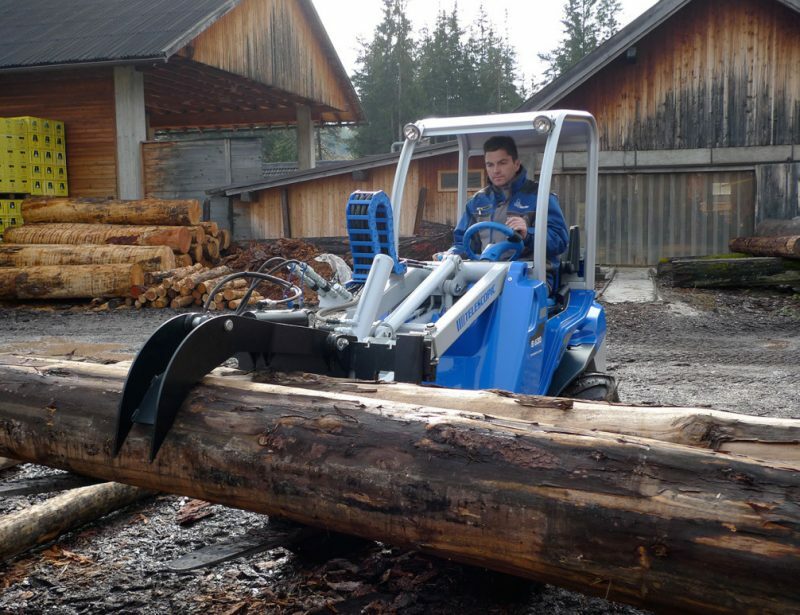 This makes changing tools easier and faster than using a tractor’s three point hitch. 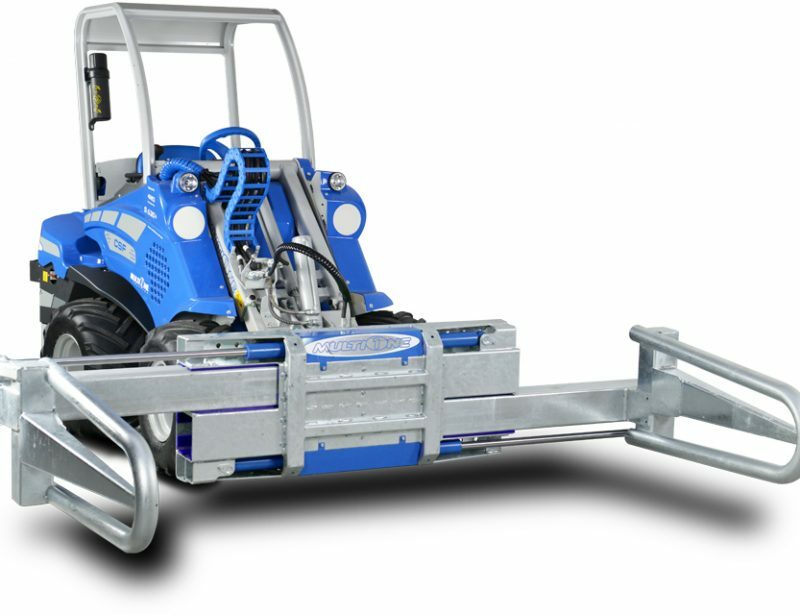 All attachments including the vineyard sprayer are hydraulically driven, so you don’t have to deal with a separate engine. 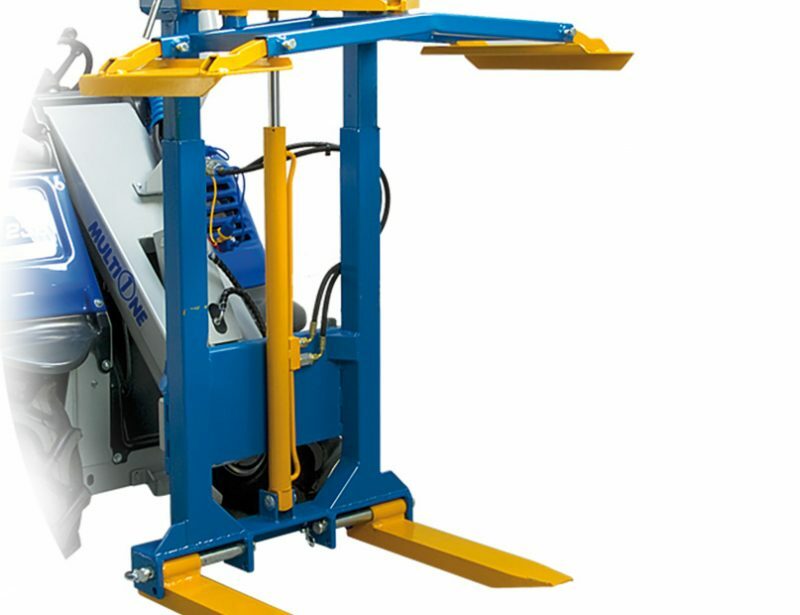 This also allows all the attachment and boom functions to be used directly from a single control stick, cutting the time it takes to learn the operation of new tools. 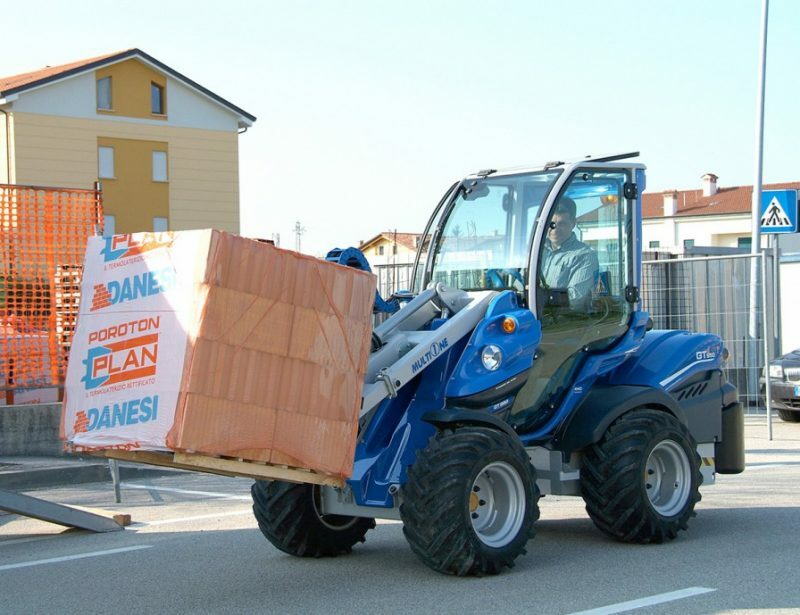 No matter what you farm, a MultiOne can help you with any chore at hand, and it can do it easier and faster than a small tractor.